HP may have killed the TouchPad and be looking to offload webOS, but its tablet sales have seen it take second place to the iPad in the US market. The iPad in its various guises was far and away the top seller of 2011 so far, according to the stats released by NPD Group. 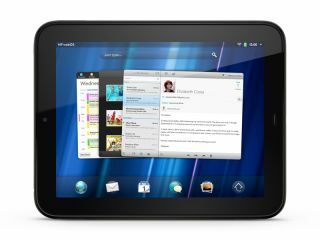 But between January and October 2011, the HP tablet took 17 per cent of the tablet market, ahead of Samsung by one per cent. It's not too devastating for Samsung though, since the HP TouchPad required a massive price drop to get ahead, and no successors are likely to burst on to the scene. Third place was taken by Asus whose tablet products took 10 per cent, and Motorola and Acer tied at 9 per cent. Sadly for RIM, the BlackBerry PlayBook came in sixth. "If you look at the tablet market without Apple there are a number of high-profile brands vying for that number two spot," said Stephen Baker, vice president of industry analysis at NPD. Of course, the new kid on the American block is the Amazon Kindle Fire - with its super-low price point, it'll be a strong contender for second place.